Japan travel tips are often centered around one theme: how to save money. While you get what you pay for, Japan is an expensive destination when compared to other options such as China and Southeast Asia. 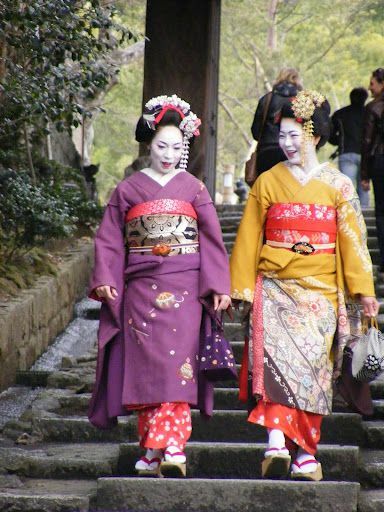 Japan is a fascinating, stimulating place to travel with enough culture, sights, and incredible food to keep you tantalized for as long as your budget permits -- which may not be very long, given the exorbitant prices for hotels and transportation. A little bit of budget-traveler strategy goes a long way. Use these Japan travel tips to enjoy the Land of the Rising Sun without breaking the bank! First, see when you should bow in Japan. The word 'hotel' is rarely used unless it's in reference to 'business hotels' which tend to be mid-range. Rooms are small, typically suitable for one person, however, they are clean and have amenities to cater to the many business travelers. Business hotels target Japanese travelers rather than tourists, so don't always expect English-speaking staff. Minshuku are budget inns that often offer the best accommodation for travelers on a budget. Ryokan are the more expensive version of Japanese inns. Capsules hotels are an unusual, interesting way to stay on a budget in big cities, as long as you don't mind staying in a place straight out of The Matrix movie. Similar to hostels, individuals get a 'capsule' with privacy curtain, small desk, light, power outlet, and single bed. Capsules are stacked in rows two high; showers, toilets, and work spaces are all in shared common areas. Not all capsule hotels accept women. If you don't mind sleeping in bunk beds crammed into cramped quarters, hostels are a viable option in Japanese cities. If you plan to move around frequently, either within Tokyo or throughout Japan, consider purchasing a Japan Rail Pass. While an initial investment, you will save time and money in the long term. The Japan rail Pass also works for buses. If your trip is timed during a school holiday, the Seishun 18 ticket may be a cheaper option than the Japan Rail Pass. The Seishun 18 ticket allows five days of unlimited train travel on local trains during certain months. While bullet trains are fast and exciting, they are far more expensive for making big moves than the slower long-distance buses. Each city has its own version of a transportation card; ask at stations when you first arrive to get the most use out of your pass. In Osaka, the Osaka Unlimited Pass allows for travel on subways and offers discounted entrance into museums and tourist attractions. Overnight ferries are a slow-yet-economical way to move around Osaka, Kyushu, and other interesting places. Sleeping on the ferry also saves you a night of expensive accommodation. Tokyo has a mesmerizing array of neon signs advertising everything under the rising sun that can be eaten. Don't be intimidated; walk inside and enjoy incredible food! If eating with others, learn a little about Japanese dining etiquette. As with other countries, eating street food from carts and in food halls is a cheap, delicious way to enjoy local culture and cuisine. On the opposite end of the spectrum, eating in your hotel is often the most expensive and unauthentic way to sample Japanese food. No trip to Japan is complete without trying a lot of authentic sushi, which is considered more as a snack than a meal. Kaiten-zushi chains (the conveyor-belt type of sushi places) are often the most economical way to try a lot of different sushi. Just remember that you'll be charged at the end of the meal based on what you took from the belt! See how to eat sushi the correct way and some interesting facts about sushi. If you aren't afraid of copious amounts of MSG, chain convenience stores such as 7-11 offer plenty of cheap snacks and food. Read up on MSG and the so-called Chinese Restaurant Syndrome. Gyudon restaurants offer beef bowls with noodles that make for a cheap, filling meal. Supermarkets are a good choice for quick, cheap bento boxes to carry out. You will often find budget eateries in the basements of department stores of big malls where employees enjoy their meals. Izakaya are the Japanese version of dive bars or pubs, often denoted by red lanterns hanging in the front. Many offer all-you-can-drink specials for a fixed amount of time as well as cheap pub snacks. Themed bars in tourist districts are certainly the most expensive places to enjoy a drink. Seniors over age 60 often get discounts on transportation and entrance fees; carry your passport for proof just in case. Golden Week -- the end of April and start of May -- is the busiest and most expensive time to travel in Japan. Plan around Golden Week to save money. See the best time to go to Japan. Shopping is generally cheaper anywhere outside of Tokyo; wait before buying that souvenir kimono! Try the markets in Osaka and Kyoto instead. See more about the shopping in Asia. Enjoy as many free activities as possible. You can check out the impressive Tokyo Skytree, beaches, and many impressive gardens for free. If you intend to see a lot of museums in Tokyo, consider purchasing a Grutt Pass for discounted entrance to most of them. Tipping is not customary in Japan and may actually be offensive in certain circumstances. See more about tipping in Japan.